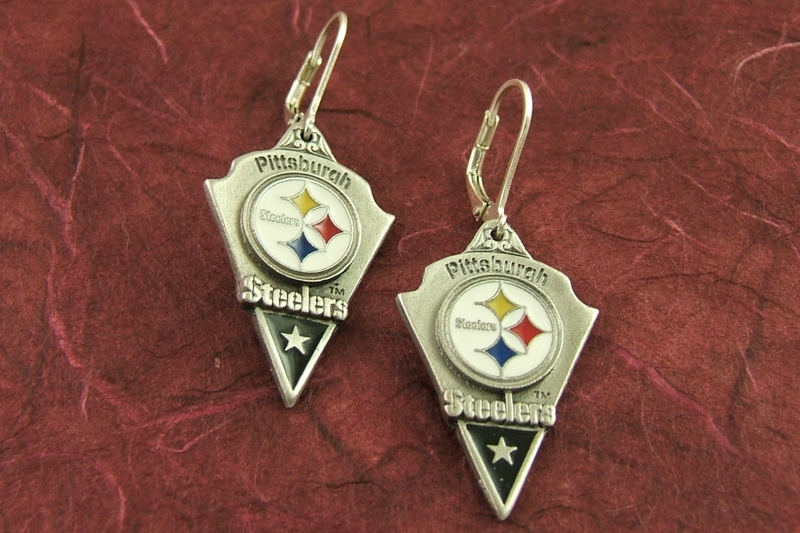 These Officially Licensed Pittsburgh Steelers earrings. On the reverse of each earring, is the NFL trademark logo. Made from modern pewter, the dangles feature a colorful enameled logo. Surrounding the logo above and below, are the words Pittsburgh Steelers. 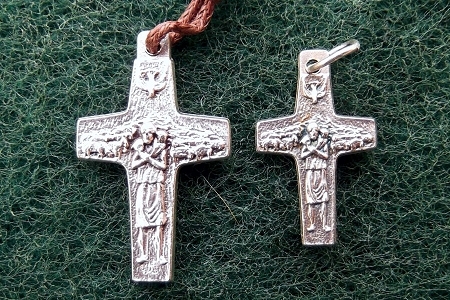 You'll find that the quality is distinctly better than the novelty earrings that are everywhere. Even more special, the sterling silver European clasps should be gentle on even the most sensitive ears.